If you would like to build your credit history, this card can be an option for you. Cash advance and balance transfer fees are reasonable. $35 Annual fee is fair. The card is a fair credit card for bad credits. APR for purchases, balance transfers and cash advances are high. You will need to pay for foreign transactions. Please see the rates table below. 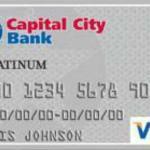 Capital City Bank Secured Visa Card is a card for rebuild credits and build credit history. Cash advance and balance transfer fees of the card is fair. However APR of the card is a little bit high. For purchases and balance transfers APR is 22.99% and for cash advance it is 25.99%. You will need to pay for 2% for foreign transactions with this card. Since this is a secured card, you will not already earn any rewards with these cards. Annual fee is also fair for a secured card. 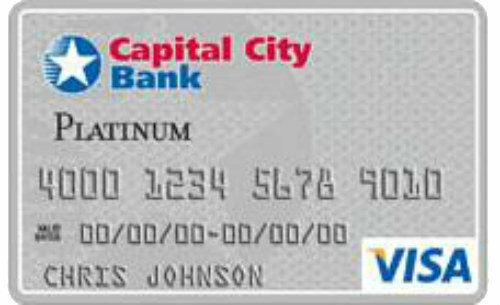 You can see Capital City Bank Secured Visa Card reviews below.